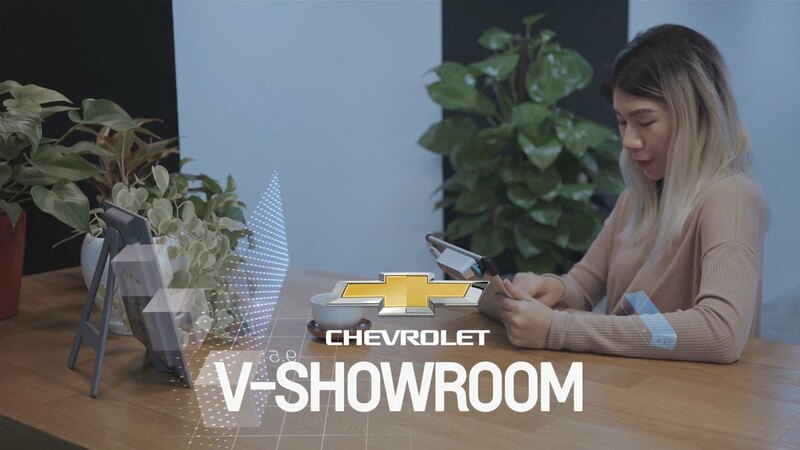 A Mixed Reality dealership tool that lets consumers experience the Cruze virtually anywhere. Deployed in 110 South Korean Dealerships. Initially tasked to market the Chevrolet Cruze's advanced technology features and to enhance the car dealership experience, we took a deeper look at South Korean dealerships and discovered some critical unmet needs. Dealerships were tiny with no space or budgets to display physical cars. Car dealers were inconsistent with their explanation of the car's technological features due to a lack of sustainable training. On top of the subpar car showroom experience, traffic congestion gets really bad in Seoul. This resulted in a unique environment where car dealers typically went to car buyers instead of inviting them over to their showroom. We quickly realised that we needed to solve all these problems in order to ensure that the car dealers were fully equipped with a better way to sell the Cruze anywhere. We also wanted to provide a delightful technological experience for all car buyers who were considering the Cruze despite them not being able to see the physical car. What if we could have full-experience car dealerships virtually anywhere? Using depth sensing and spatial computing technology, we created V-Showroom. V-Showroom has the ability to understand any terrain and that allows us to create a persistent anchor for our virtual content to the real world. Both car dealers and buyers can now augment any physical reality with a virtual Cruze, see it in a true 1:1 scale and explore it's exterior and interior just like they would with a physical car. Mixed reality animations, that let viewers pick their own point of view in real-time, made the technological features of the Cruze much easier for the buyer to understand and reduces the car dealers' tendency for inaccurate explanations. Beyond the Cruze, the technology allows for an infinite number of different car models to be displayed, giving the dealers a full virtual inventory in a mobile device. This lets them create a delightful sales experience no matter where they are.